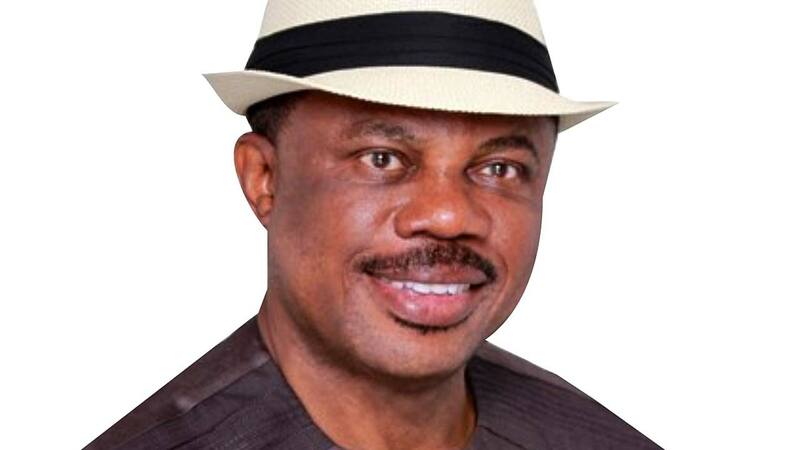 Willie Obiano, Anambra State Governor. Conflict, competition and intrigues are the defining features of party politics in a democracy. While conflicts arise from clash of interests, it is the competition for ascendancy that necessitates the relevance of trickery to outwit contenders. The scheduled November 18 governorship election in Anambra State has produced all those as political parties get ready to engage in the contest for the ultimate prize. Whether on account of their sizes or prominence, the front row political parties, namely All Progressives Grand Alliance (APGA), All Progressives Congress (APC) and Peoples Democratic Party (PDP) have all produced flag bearers, but are currently enmeshed in intra-party wrangling over the outcomes. IT may not be the usual bad loser disorder, but the Anambra PDP governorship primary threw up misgivings from the aspirants, except the winner, Mr. Oseloka Obaze. Senator Stella Adaeze Oduah, Dr. Alex Obiogbolu, Prince John Emeka and Dr. Patrick Ubah, protested against the processes that led to the emergence of Obaze, stressing that Obaze was a product of conspiracy by entrenched interests in the governors’ forum to impose the aspirant as flag bearer of PDP. Apart from alleging that the returning officers of the delegates’ congress personally filled the result sheets, after discarding the one generated at the field, Oduah insisted that the copy that Abuja relied on was the culmination of irregularities and sabotage to the party. She maintained that the process that produced Obaze “violated all known principles of democratic practice.” Although Obiogbolu and Emeka have not shown any further aversion after the appeal committee ratified Obaze’s nomination, the Chairman of Capital Oil, Ubah, has taken his protest to new heights. He has adopted same campaign methodologies of Transformation Ambassadors of Nigeria (TAN), the political action group he put together to promote former President Goodluck Jonathan’s second term ambition. However, the National Caretaker Committee of the party was said to have obtained credible evidence that Ubah and Oduah were working hand in gloves with elements outside PDP to scuttle the chances of the party in the election. A source within the caretaker committee told The Guardian that the party knows what games Ifeanyi Ubah was up to, adding: “We have not forgotten his rumoured defection to a particular party. Not long ago also, he was accepting to serve as the campaign director of another candidate and giving conditions. “Now, he was sent to go and purchase the PDP ticket so that at the end of the day, he would announce that he was stepping down for his principal so as to go and prepare for the senatorial ticket that he was assured of.”But despite the allegations, the NCC ratified the primary election and the nomination of Obaze as PDP flag bearer for the November 18 poll, pointing out it came to that conclusion after critically examining the valid petitions by aggrieved aspirants. Conveying the decision of the NCC, the head of publicity, Chinwe Nnorom, explained in a statement that hearing on the appeals was concluded on September 12, adding: “The national leadership of the party enjoins all party faithful, especially aspirants to put the issues behind them and work together as one family” for victory. Following her disagreement with the process, Senator Oduah, who withdrew from the primary is said to be fine-tuning plans to defect to APGA and work for the poll success of the incumbent governor, Chief Willie Obiano. It is not known however, whether her defection at this point in time, when there is no rift within PDP would not warrant her loss of the senate seat. Given the level of destructive sentiments spewed by Ubah, the NCC has suspended him for one month, a move which could render his proposed litigation an academic exercise, even as sources close to the oil magnate disclosed that he may end up jumping ship soon. DESPITE the fact that the Independent National Electoral Commission (INEC) has announced its unwillingness to accept two candidates from same political party, APGA is faced with the misfortune of waiting for the Supreme Court to determine its fate. Following the leadership squabble at the national level of the party, two persons are laying claims to being the authentic national chairman of APGA. As at the time Governor Obiano purchased his expression of interest and nomination forms from Victor Oye, the Court of Appeal’s order of mandamus on INEC and the Police to deal specifically with Ochudo Martin Agbaso, was subsisting. Although Oye succeeded in vacating the order afterwards, the Agbaso group had approached the Supreme Court challenging the decision of the Court of Appeal to join Oye on the suit and granting his plea, when he was not party to the suit. In addition to that, the suit at Federal High Court in Abuja, in which Oye was challenging his suspension from the party, was adjourned to December 14, 2017. 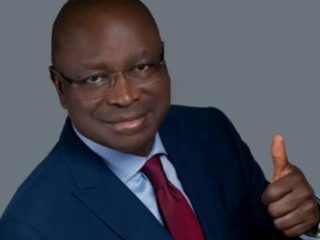 Prior to the adjournment, Oye had appealed against the assumption of jurisdiction by the court to determine whether his suspension followed laid down procedures and in conformity with relevant provisions of APGA constitution. Untangling these knotty legal issues will no doubt take time. But the Director General of Obiano campaign organisation and former national chairman of the party Chief Victor Umeh, maintains that the suspension of Oye for antiparty activities did not follow due process. APC governorship primary exposed much infamy. The network of conspiracies that dogged the exercise was mindboggling. Despite the fact that only one petition was received by an aggrieved aspirant, the appeal committee spent what looked like eternity to send in its report.While the waiting continued, anxiety built up with speculations making the rounds that the winner of the primary election, Hon. Tony Nwoye, could be dropped. It happened that with each wave of report, entrenched political forces within and outside APC scaled up their lobby for the ultimate victory of their protégés. Former Governor Peter Obi and the incumbent were said to be closely involved in the machinations that surrounded which aspirant should fly the APC flag in the November 18 poll. While Obi was said to be rooting for the retention of Nwoye, Obiano was said to be reaching out handsomely to the governorship primary appeal committee to sustain the nullification of the August 26 primary. It was gathered that Obi was minded that the zoning arrangement which he championed in 2013 was retained so as to have the major political parties fielding only candidates from Anambra North. That way, the former governor contributed both moral and fiscal support to ensure that Nwoye trounced other aspirants for the APC ticket. On the flipside however, the incumbent did not hide his aversion to having a candidate from Anambra north, ostensibly to ensure that he harvests bloc votes from the zone. In that scheme of political arithmetic, Obiano confided in his acolytes that he would not mind having the Senator representing Anambra South, Dr. Andy Uba, on the ballot as APC candidate. As the September 18 deadline for parties to submit the names of their flag bearers drew nearer, it was discovered that some agents of members of the APC National Working Committee (NWC) and the Governorship Primary Appeal Committee, were actually behind the many leaks that spiraled the movement of cash around. 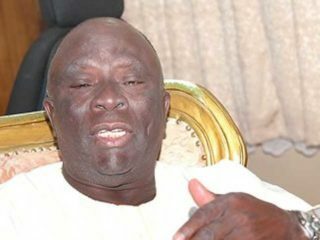 Irked by the brazen display of money as the PVC for the party’s governorship candidate, a stakeholder of the party, Mr. Bonaventure Maduafokwa petitioned the national chairman, expressing dismay that the party, which touted anti-corruption should look aside as delegates and aspirants exchanged money for votes. However, in what came out as an anticlimax, the name of Nwoye, the announced winner of the primary was submitted to INEC as APC flag bearer, despite the allegation of willful complacency and complicity in the exercise. With the bad blood spewed by the protested primary, it is left to be seen how APC goes into the election, especially against the background of recent military action in the Southeast. 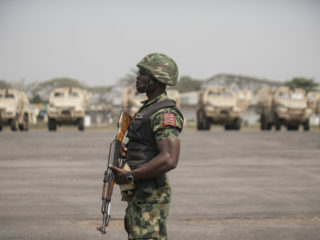 Seemingly distracted by the heat generated by the Federal Government’s endorsement of exercise Python dance 11, the APC is yet to make pronouncements about reconciliation. GOING by INEC’s timeline for Anambra governorship poll, political parties have till October 2, to substitute candidates. There are indications that Hope Democratic Party (HDP) and Labour Party (LP) might take advantage of the substitution window in the days ahead.It is usual in Anambra governorship polls for aspirants to plant surrogates in other parties with hope to cross over if not favoured in their party of choice. Whether therefore Senator Uba and Ubah would cross over to other parties to ventilate their governorship aspiration would be seen in the days ahead. However, the choice of running mates by flag bearers seems to have pushed the search for substitution to the background. Although the battle for Anambra governorship would be won and lost in the central senatorial district, virtually all the established candidates are looking to Anambra South to pick running mates. Candidate of Action Democratic Party (ADP), Mr. Ifeanyichukwu Okonkwo, nominated a former Orumba north council chairman and member of House of Representatives, Nnadozie Ndujekwu Ike, as his running mate from Orumba South, hoping to harvest votes of the thick Aro population in the zone. Also, the United Progressive Party (UPP) candidate, Osita Chidoka, selected Chief Marcel Ogbonnaya Okeke from Orumba South. But what turned out as a defining moment in the rush to Anambra south is the choice of the daughter of second republic Vice President, Dr. Alex Ekwueme, as the running mate of Obaze. Sources disclosed that Ubah’s refusal to mend fences with Obaze was exacerbated when the PDP rejected his (Ubah’s) offer to run with him on the ticket, only to choose Mrs. Alexandra Chidi Onyemelukwe, Ekwueme’s daughter.Not to be beaten by the schemes, Nwoye settled for the son of former Ohanaeze President General and Presidential Liaison Officer, Dr. Dozie Ikedife. Sources said that moved by the Obaze/Onyemelukwe ticket, Obiano began tinkering with the idea of dropping his deputy, Nkem Okeke, who hails from Anambra central, to pick the wife of Ikemba Nnewi, Ambassador Bianca Ojukwu. While Obiano’s loyalists say that the appearance of Ojukwu on the ballot will enhance the electoral fortunes of the incumbent, some indigenes of Nnewi said they are not moved by such tokenism, stressing that Mrs. Ojukwu is better known to them as the daughter of former old Enugu State governor, Chief Christian Chukwuma Onoh.